What do I need to know about Zika? Contact our PIO directly to share health news. Diabetes affects about 30.3 million Americans or about 9.4 percent of the U.S. population. Nearly 1 in 4 adults living with diabetes and worse, 7.2 million Americans, are unaware that they have the disease. Diabetes is a serious disease that can lead to complications like kidney failure, heart disease, stroke, blindness, and amputations. But type 2 diabetes doesn’t have to be permanent—it can be prevented or delayed with healthy lifestyle modifications. The first step is learning your risk. That’s why this year Gwinnett, Newton, and Rockdale County Health Departments is participating in American Diabetes Association Alert Day®. On March 26th from 10AM – 2PM, there will be two events hosted locally for Diabetes Alert Day. Centerville Community Center at 3025 Bethany Rd in Snellville to take a Risk Test and an A1C test to find out if you’re at risk. On March 26th, we encourage you to take a simple and anonymous one minute test to find out if you are at risk for developing type 2 diabetes. You’ll answer questions such as, “Do you have a family history of diabetes?” and “Are you physically active?” to learn your diabetes risk in 60 seconds. It’s that simple. 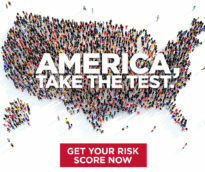 Once you’ve taken the test, share it with friends and family—with 84 million Americans at risk for developing type 2 diabetes, someone you love could be at risk. Learn more about this disease, how to prevent it, and how to fight back to help transform your life at http://www.diabetes.org/in-my-community/wellness-lives-here/mission-engagement-days/alert-day/ . We hope you’ll join us by learning your type 2 diabetes risk this year for Alert Day, and help others do the same. At Risk for Type 2 Diabetes?